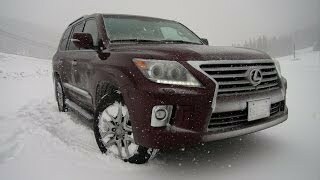 ( www.TFLcar.com ) The 2013 Lexus GX460 has all of the important bits and parts to make it a truly off-road worthy ride. 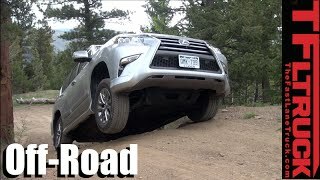 Not only did Toyota bless is with full-time four-wheel-drive but the big Lexus also has a lockable limited slip center differential and adjustable height control, hill decent control and even the all important body on frame construction of the Toyota 4Runner. 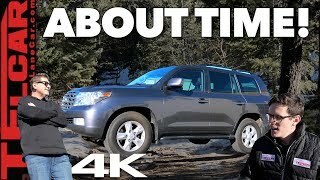 In fact the Toyota 4Runner and the GX460 share many of the same components and the same basic construction. 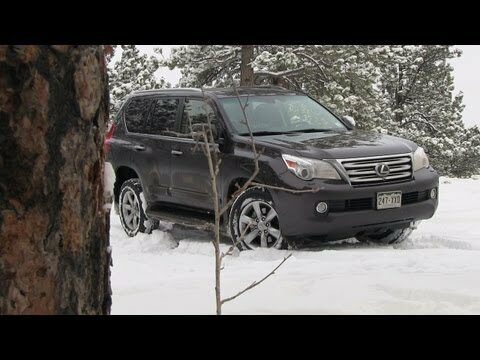 In this exclusive TFLcar video we decide to have a bit of wintery fun in the 2013 Lexus GX460 and take it off-road for a tech review to see just how well it does when the road turns snowy, icy, rocky and very rough. I wonder if a set of dedicated winter tires would have been better than the M&S tires in that particular scenario. Those are Roman's old teeth. We actually like this front end better than the newer "open mouth" look of the new Lexus'. As much as I like "new", when we pull the trigger, we will be looking for this 2013 model for us. I agree. 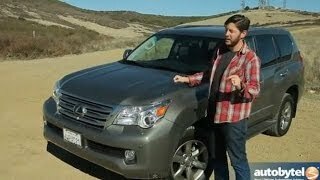 I have had multiple family members say they didn't like the newer Lexus styling and it pretty much killed the deal for them and they ended up with something else. Great video. 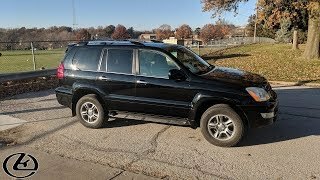 Debating whether to buy this or the 5th gen 4Runner limited. Love how you guys shot this in the snow because that's exactly where I'll be using mine. Look at em 4 wheels spin and find grip. Love it. 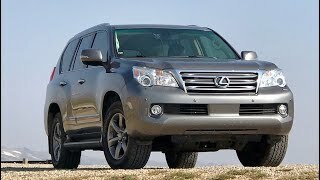 db8gsr buy Lexus GX 460 because GX is a better off road vehicle. What if it does not come with Heigh Control? I loved the video...Contemplating,weighing my options whether to buy this beast. It's a common misconception that this model is based on Prado. It is NOT based on Prado but rather the 4runner Limmited. The 470 is based on the Landcruiser. +gtemnykh Thank you kind sir . noted. 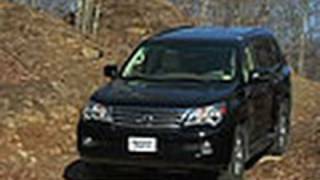 GX460 is based on the Toyota Prado 150, as is the US-market 2010-2016+ 4Runner. GX470 is based on the older Toyota Prado 120. 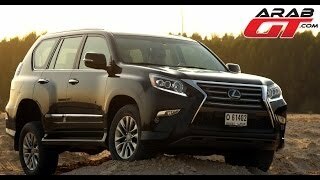 LX470 is a rebadged Land Cruiser 100. 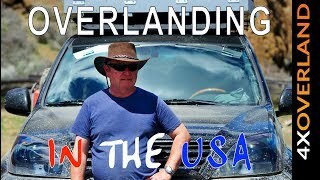 It's not so much based on the 4Runner as it is on the Prado, which is a legendary off-roading machine in Australia. It has almost the same everything, same differentials, same frame, etc but a bigger engine and a more refined interior. A common assumption that is incorrect is that it was built based off the 4Runner but it really wasn't intended to be. 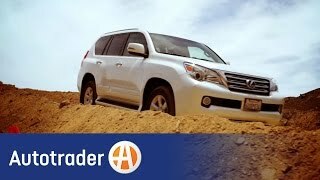 Look up the 2015 Toyota Land Cruiser Prado vs 2015 Lexus GX460. 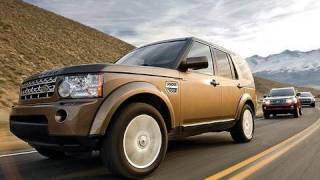 They are the same vehicle with some cosmetic changes and more engine options available in Africa and Australia. 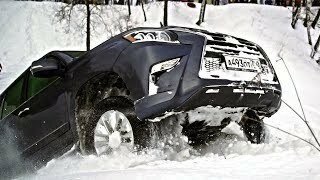 The Prado and the GX are built in the same factory in Japan. Enjoyed watching this review, but they did get one fact wrong. 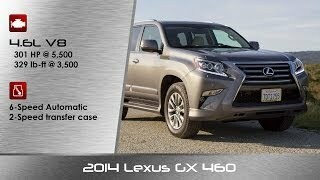 The Lexus GX 460 is not built on the frame of the Toyota 4Runner. 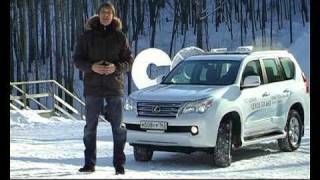 The GX shares the same frame as the Toyota Prado which is sold outside the US. Yea Lexus quality there is no need to worry !! 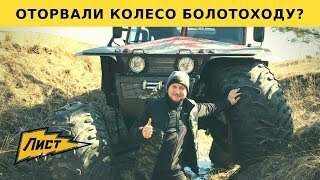 Do you guys have more videos of this GX460 off road rock crawling??? Left hand!! I go shoot there all the time. 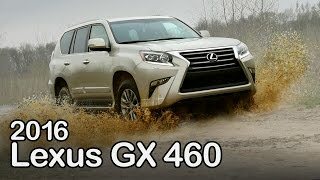 Lexus GX 460. 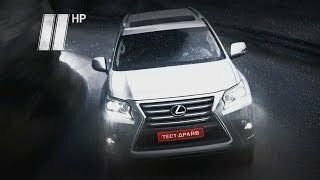 "Две Лошадиные Силы"
Тест-драйв LEXUS GX 460, настоящий Лексус?